When the forums had the option to change the theme, I chose the NSMB castle one (like the NSMBHD one), but now it was removed, and I can't choose the new default one (I think there's a new one), I mean, I like this one, but now I want to see how it's the other one and I'm getting tired of the castle one. It's more of a random... meme thing or something like that. 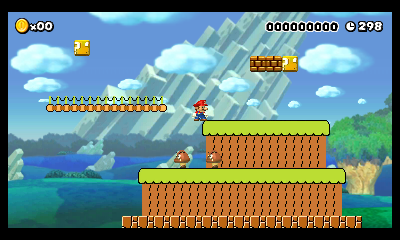 and replaces some of the NSMBU tiles with the SMB ones as well as the SMB ones with the NSMBU ones. 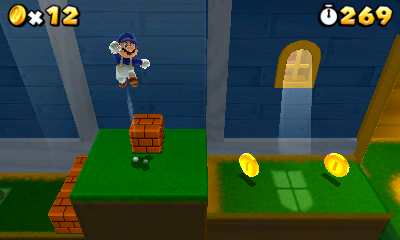 The derpy mario mod is the WU_Player_MarioMdl.szs file inside the /Models/ folder. 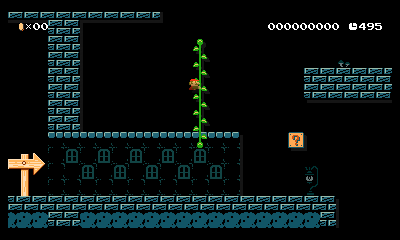 The SMB1 replacement is the M1_field_plain_textures.ctpk file inside the /TileData/ folder. 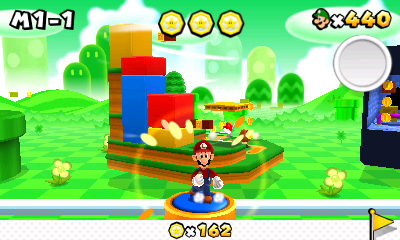 The NSMBU replacement is the WU_field_plain_textures.ctpk file inside the /TileData/ folder. Be sure to have Luma installed in your 3DS (obviously)! Hold Select when turning on the 3DS (any model, New 3DS, XL models, 2DS) until the Luma3DS configuration menu appears, the press the down button until you are on the ( ) Enable game patching option, and press A to turn it on, and X will appear, now just press START and the 3DS/2DS/NEW 3DS/NEW 2DS will reboot, just wait normally until the 3DS home screen appears and open Super Mario Maker (again, looks like I'm captain obvious), Now it should work! I made a mod of the Mario model, but with a Duck float (I'm not english so I don't know really how to call it, so I used a dictionary) and exported it to a .dae file, I tried ohana3ds to import it back, but it does give me an error, and SPICA doesn't even have an option to do that, so my question is, How can I import the model to the .BCH file, so I can import it again to the WU_Player_MarioMdl.szs file, and test if it works properly. EDIT: I used blender to edit the model. Posted on 08-29-18, 05:03 pm in q&a Ask your SMM hacking questions here. I just realized that I should ask the questions somewhere else, not in a new topic. But now, I don't know how to delete it. So, I made a mod of the Mario model, but with a Duck float (I'm not english so I don't know really how to call it, so I used a dictionary) and exported it to a .dae file, I tried ohana3ds to import it back, but it does give me an error, and SPICA doesn't even have an option to do that, so my question is, How can I import the model to the .BCH file, so I can import it again to the WU_Player_MarioMdl.szs file, and test if it works properly. Are you going to make a 3DS version? Do you have any screenshots for me? Also, isn't SMG4 blue and not red? Sorry, I didn't had time to check the post, now the screenshots appear correctly and I have specified a little bit more about Luigi's new colors. You need to enable luma game pathing to use this!, unless you prefer to apply the patch in any another way. Just a little mod I made, I like SMG4 videos so I changed Mario's colors to blue and white; and also (and this has nothing to do with SMG4) I though that Luigi would look funny in red colors, (because is Mario's color scheme) so I changed it too (sorry if I say "I" too much). 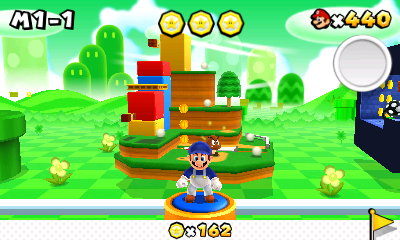 Sorry if Luigi colors look too dark, I tried to make them SM3DL styled, but as you can see, I didn't totally get it. (Also Mario was my favourite character, but I changed my mind years ago, so... That's also why I changed Luigi's textures to Mario's colors. Looks amazing! Also, works on 3DS? Ok, this is getting time-consuming, and sadly, I don't have too much time for personal things. So, I will still try to continue this, but if anyone of you wants to continue and make his own version of the next Ghost Marios, you have my permission (anyways you didn't need it, you could still do whatever you want). 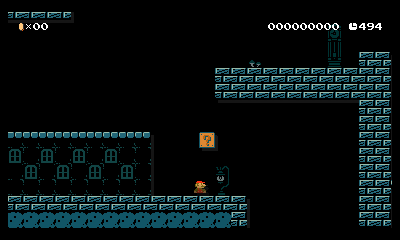 Anyway I am making now the SMB3 Ghost Mario, if everything goes as expected, you should have it for download later. Edit- My computer doesn't want to work correctly and doesnt open the image editor, sorry i'll try to fix it. Will you do SMW and SMB3? It's possible to port it to the 3ds version? Posted on 03-04-18, 05:01 pm in Luigi in Super Mario Maker! but, where's the download link? My version of the game is EUR, the mod works for other regions but you have to change the title id in the luma/titles/[yourregion] to your region. Also, you just need to extract the luma folder to the SD Root, it contains the file in the correct folders. I'll leave all the versions of the mod here in case you don't like the newer versions. WOW 3 RELEASES AT THE SAME DAY! I'M SO LAZY, It wasn't that difficult, Here you go! 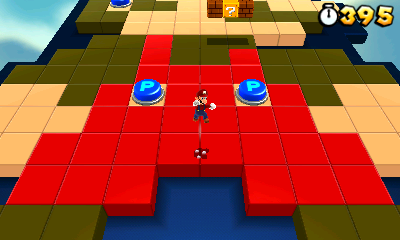 Now it replaces all Mario versions in SMB, even Slim Mario! So recently I was trying to make SMM 3DS mods and I ended up with this. 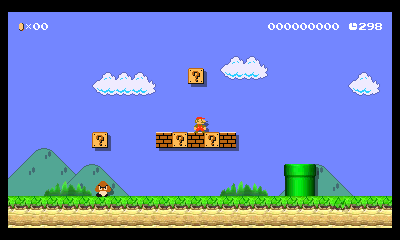 It changes the SMB1 field textures, it's not a big deal, but it is just a test mod, anyway. It changes the No Home Menu available, you can delete the "home_nix_textures.ctpk" (without quotes) to don't have it. Page rendered in 0.232 seconds (with 1.641 MB of RAM).